Beginner: Samples to check the basic functions of your microscope. Easy to resolve, also for beginners in the field of microscopy. Advanced: Samples to optimize the settings of your microscope. Advanced experience is necessary in order to resolve the nanorulers. 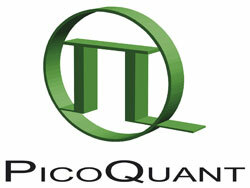 *measured by PicoQuant GmbH with the MicroTime 200 STED. **measured by CECAD Cologne with the Leica Microsystems TCS SP8 STED 3X.